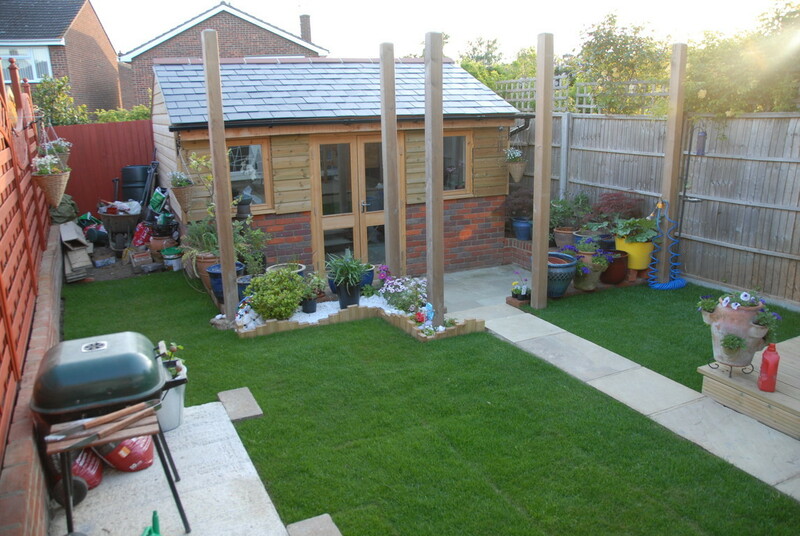 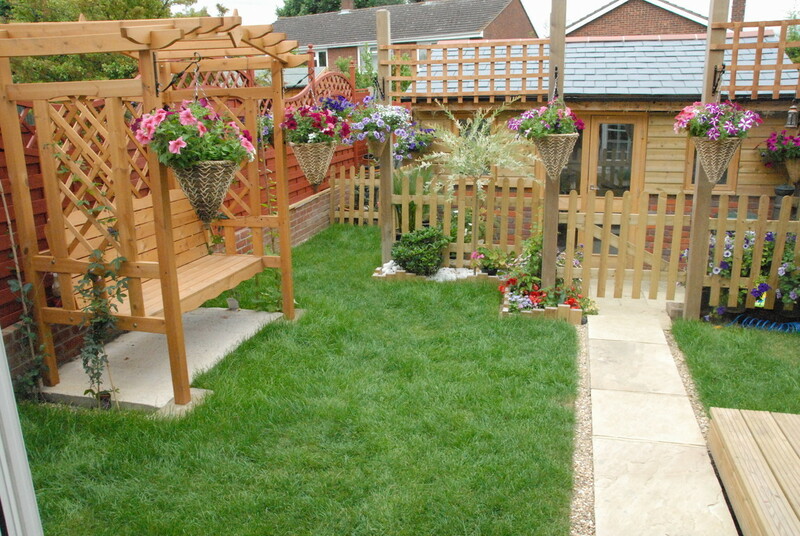 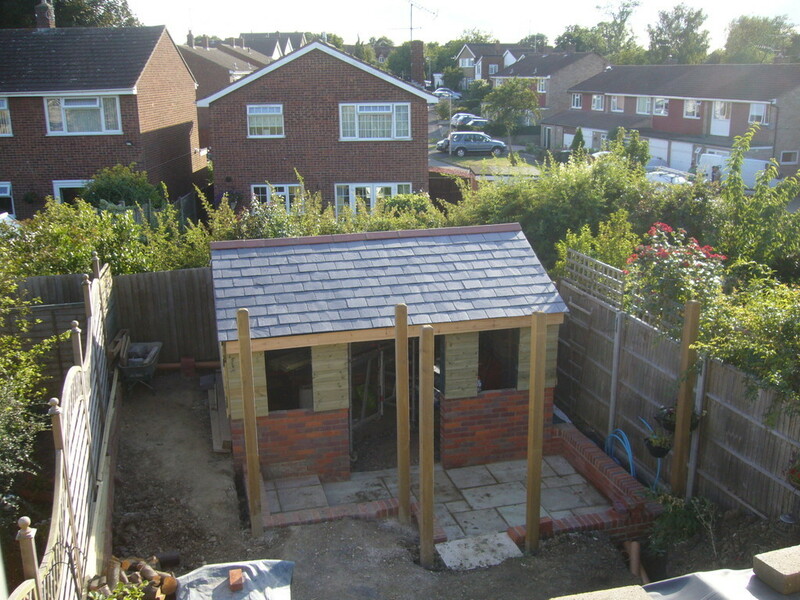 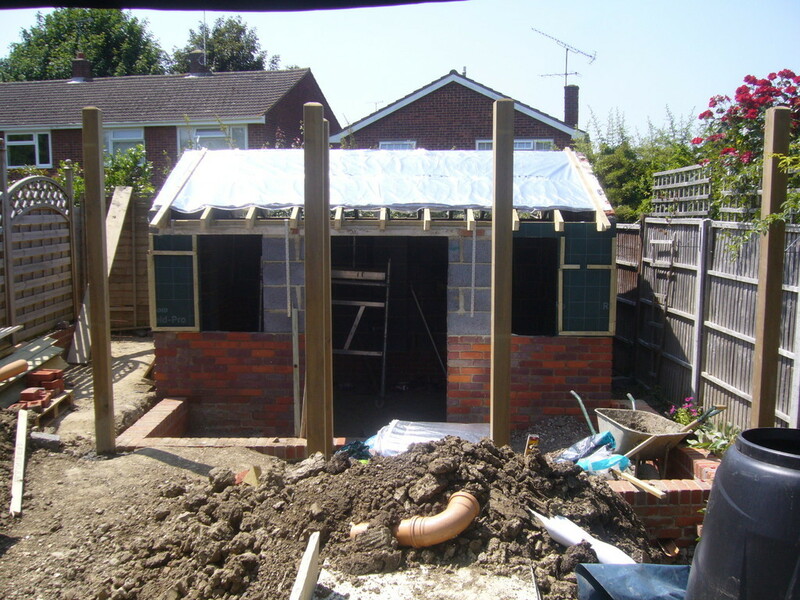 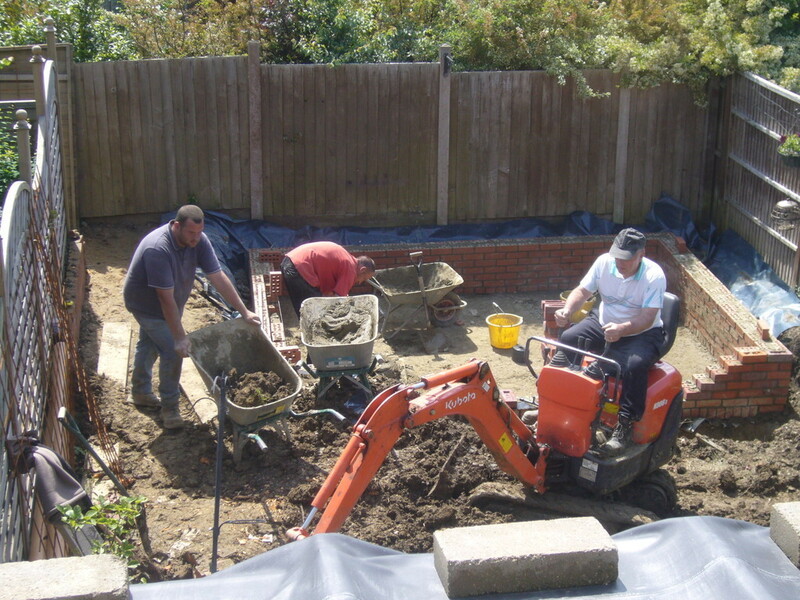 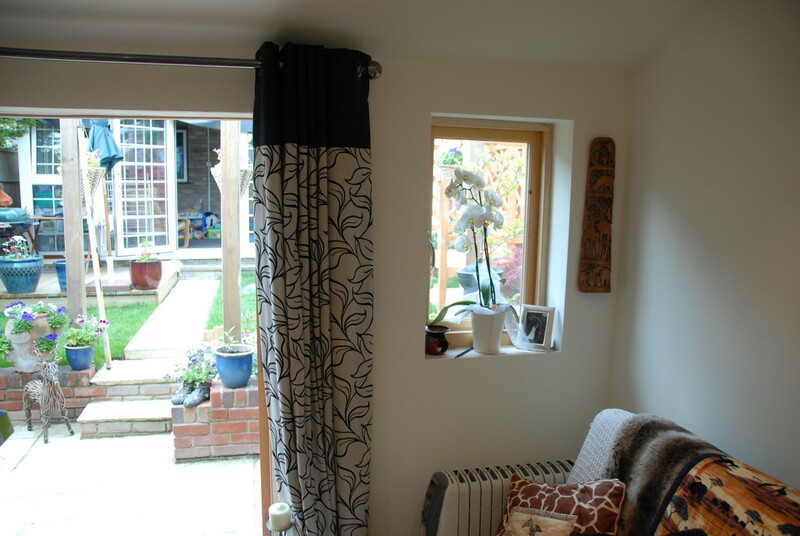 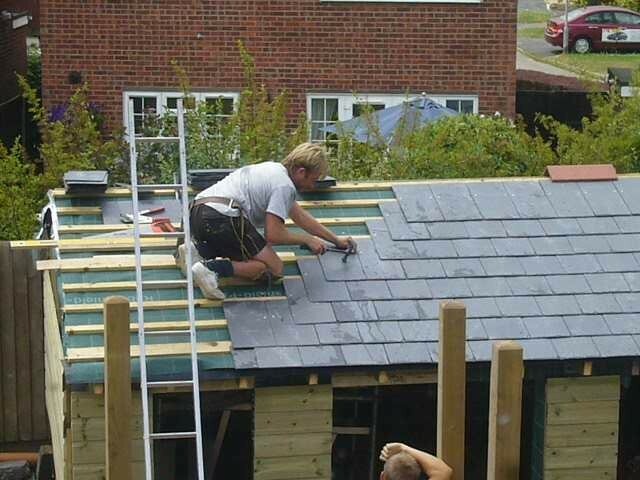 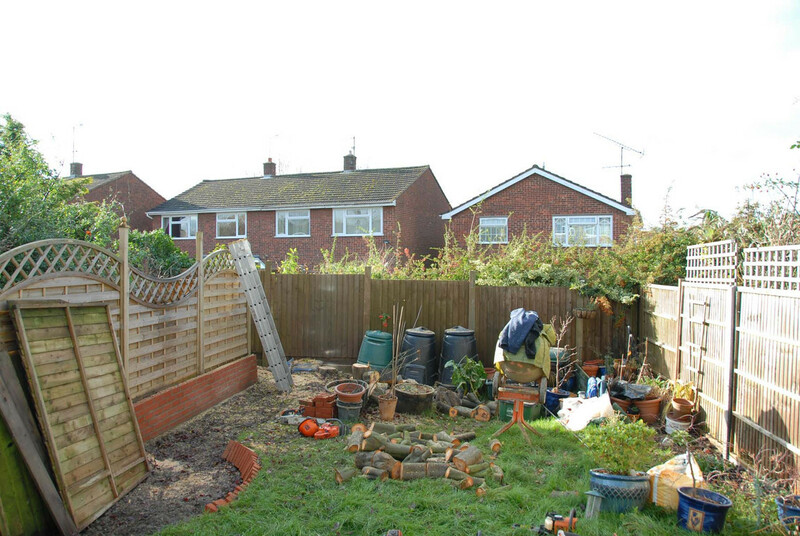 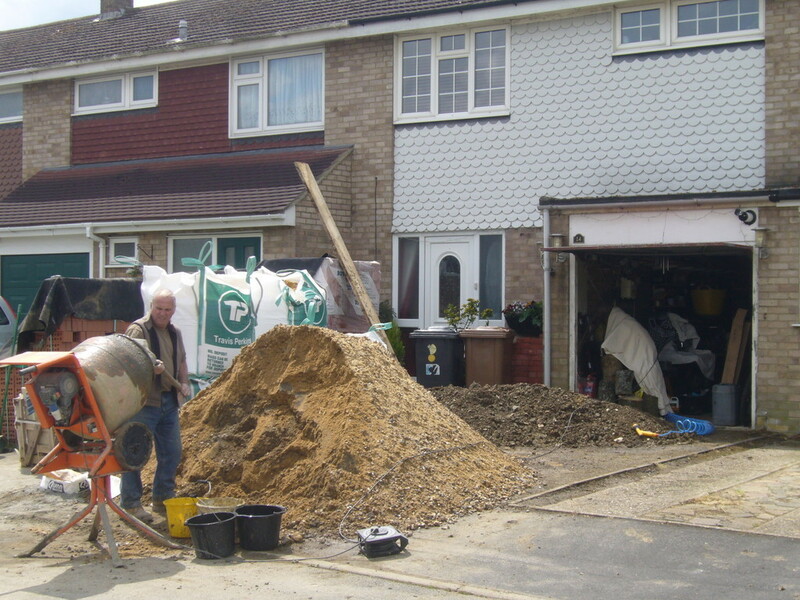 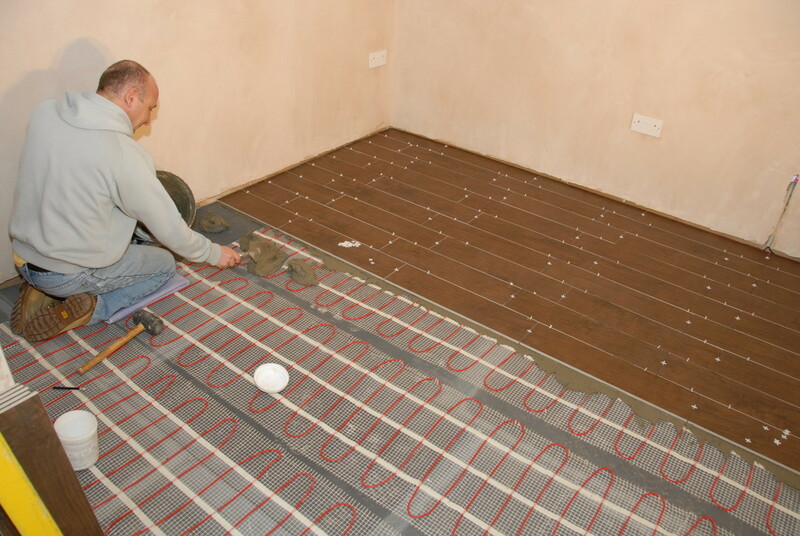 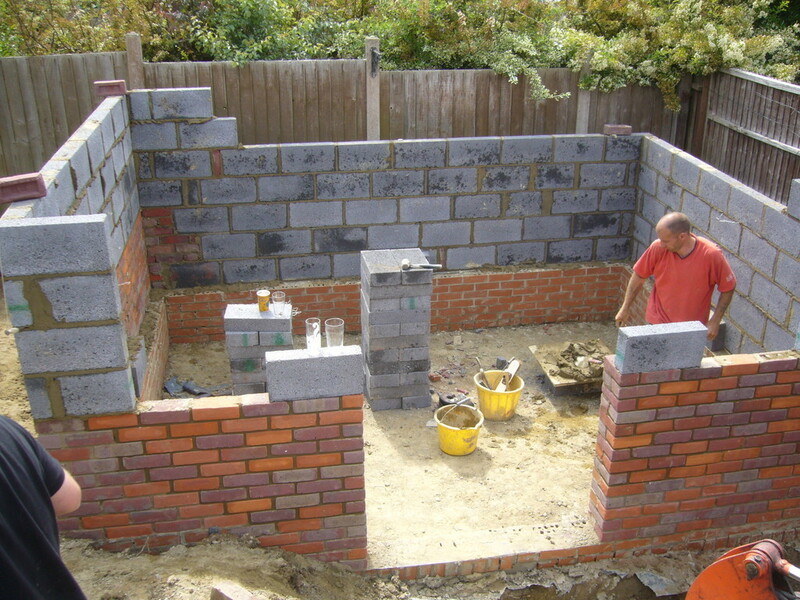 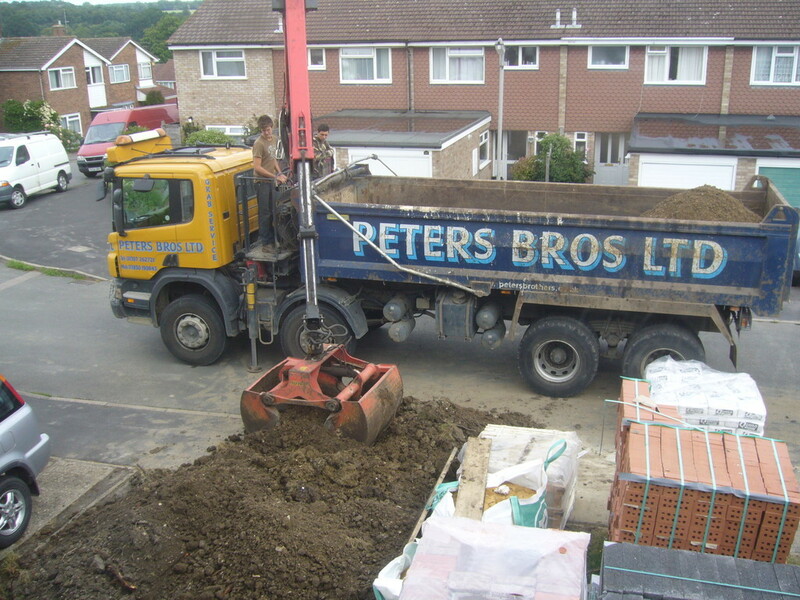 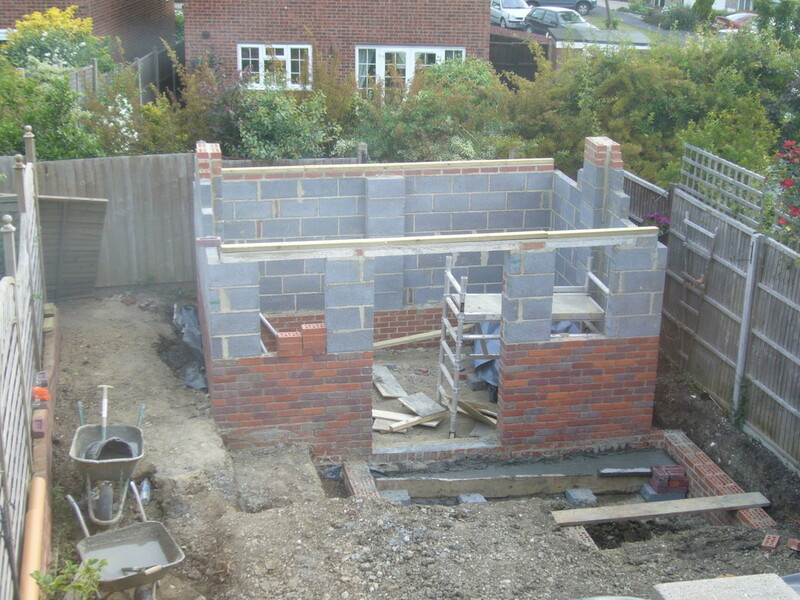 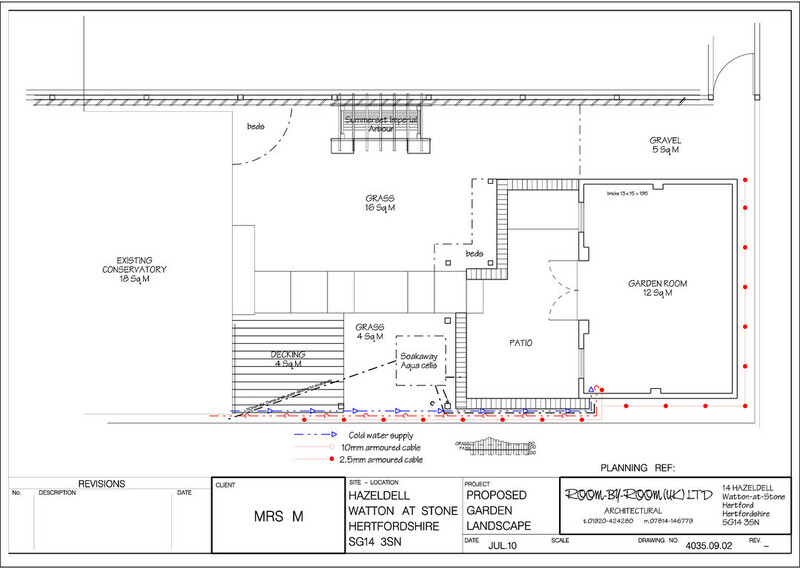 Below are step-by-step photographs we took during the construction of a garden room we designed & built for a customer in Watton at Stone, Hertfordshire in 2010. 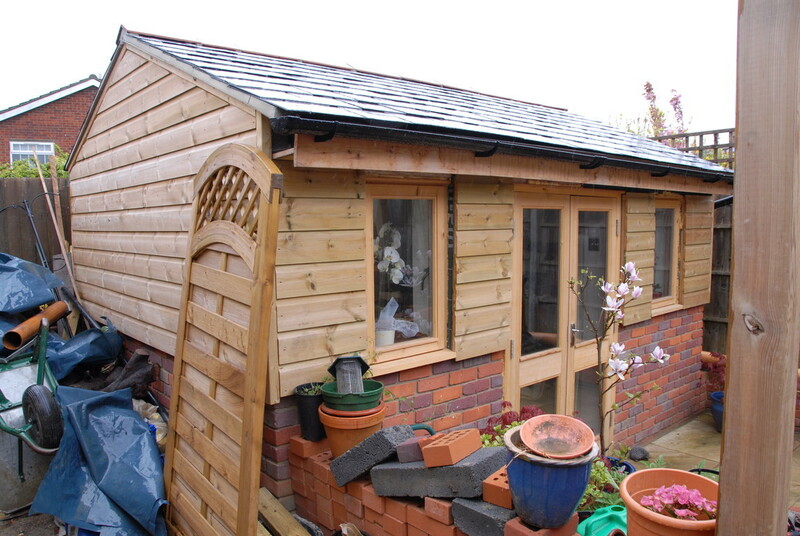 The customers brief was to provide a garden room which was versitle so could be used as a guest bedroom or day / garden room in traditional construction with a high quality specification. 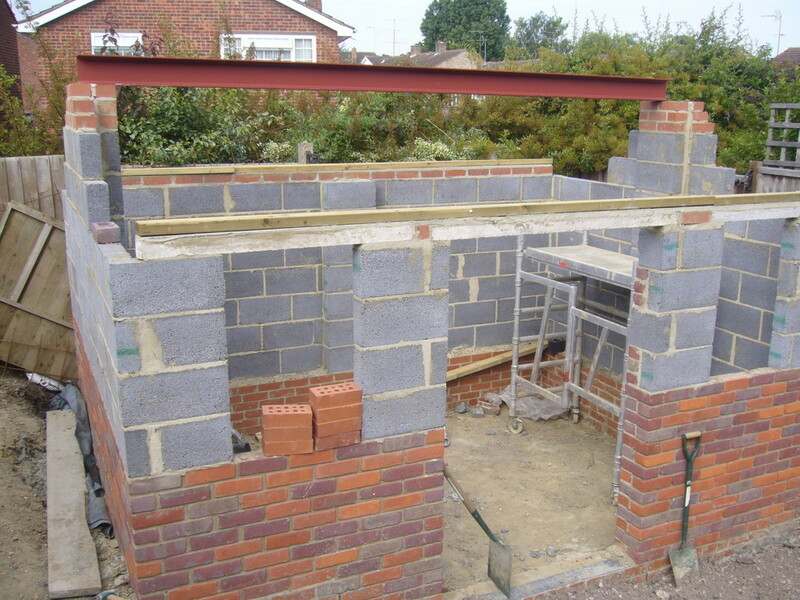 We sourced hand made bricks from a brickworks near Hemel, swedish timber engineered ship-lap cladding, swedish roof insulation and bespoke hand crafted doors and windows with argon gas glazing units. 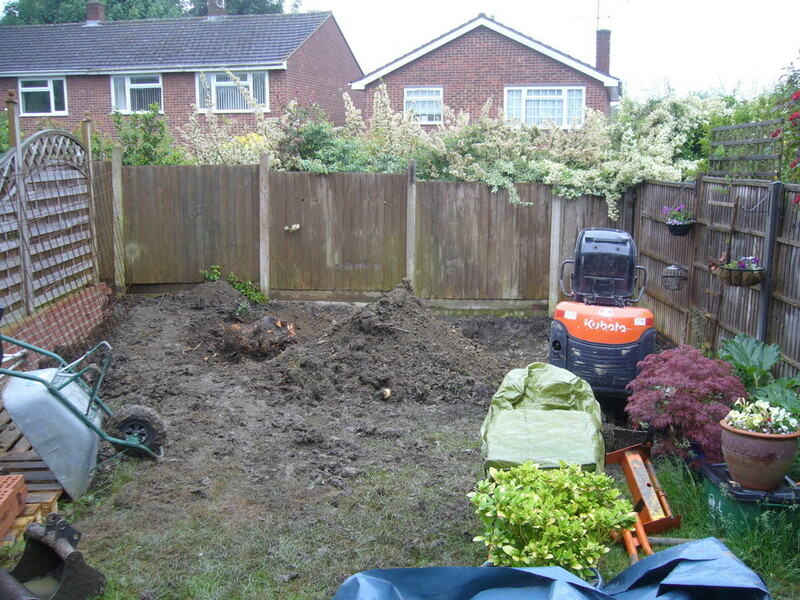 The garden was no exception and after removing 300mm of clay from the ground we dug in Rolawn soil improver and laid Rolawn medallion turf. 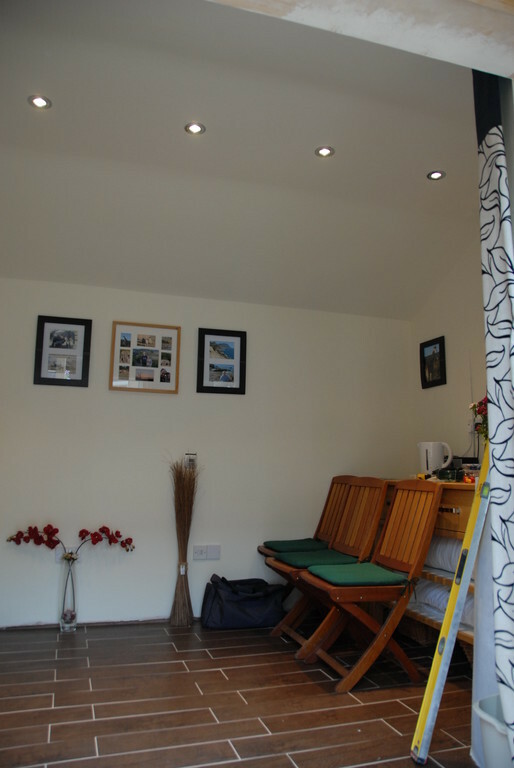 We installed a cold water supply and connected a 10mm armoured cable from the main consumer unit to a new RCD consumer unit to run the very generous 10 double 13amp sockets and 5 mains voltage dimmable & adustable fire rated spot lights in the ceiling and the spot lights fitted in the soffit outside and elecrtic under floor heating. 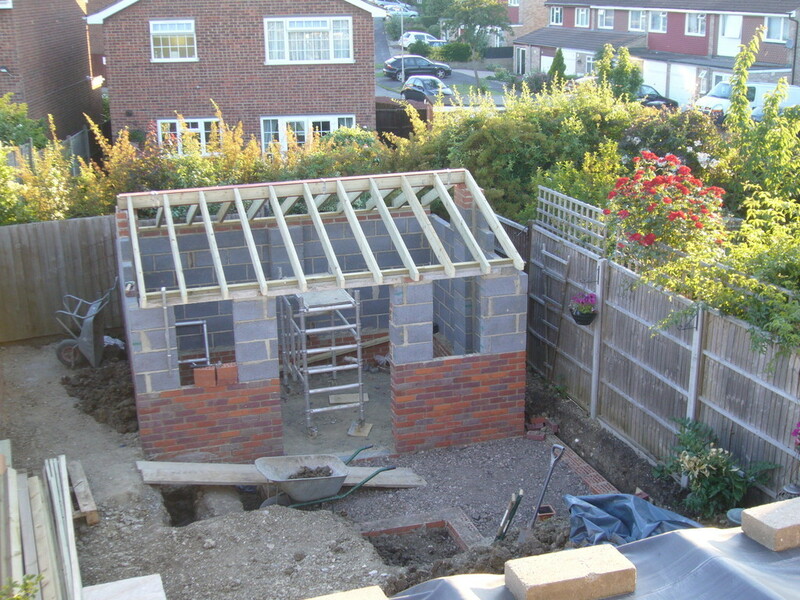 Design & Build cost £42,000.